The reviewer guidelines are available here: https://joss.theoj.org/about#reviewer_guidelines. Any questions/concerns please let @lheagy know. Authorship: Has the submitting author (@rbeucher) made major contributions to the software? Does the full list of paper authors seem appropriate and complete? Hello human, I'm @whedon, a robot that can help you with some common editorial tasks. @techas, it looks like you're currently assigned as the reviewer for this paper 🎉. First of all, if you have not signed up to be a reviewer with JOSS before, please accept the invitation here: https://github.com/openjournals/joss-reviews/invitations. This will allow you to check-off the boxes above. There is a checklist for each of you to help guide the review. If there are items that you see are missing or could be improved, please either comment here or create an issue in the target repository and reference this issue by including openjournals/joss-reviews#1136 in the text of the issue. Please let me know if you have any questions or if I can clarify anything. 👋 Hi @techas, @tth030, I hope you had a wonderful time over the holidays! Now that the new year is starting to get going, I wanted to follow up and ask when you think you will have time to complete the review? Ideally, we would appreciate if you could do so in the next 2 weeks. Please let me know if you have any questions! On 20 Jan 2019, at 22:35, Lindsey Heagy ***@***. ***> wrote: 👋 Hi @techas <https://github.com/techas>, @tth030 <https://github.com/tth030>, just checking in on your progress with the review. Are there any questions you have about the procedure? Please don't hesitate to let me know if I can be of assistance — You are receiving this because you were mentioned. Reply to this email directly, view it on GitHub <#1136 (comment)>, or mute the thread <https://github.com/notifications/unsubscribe-auth/ALybukPc4hZ9Tm5o7eOXwF6rgNPWQIV7ks5vFOEHgaJpZM4ZZN5y>. Thanks @tth030, sounds good. You can leave your review as a comment on this issues thread, or if you have specific suggestions, then please open up issues on the target repository. Then @rbeucher can address them there. On 21 Jan 2019, at 18:31, Lindsey Heagy ***@***. ***> wrote: Thanks @tth030 <https://github.com/tth030>, sounds good. You can leave your review as a comment on this issues thread, or if you have specific suggestions, then please open up issues on the target repository <https://github.com/underworldcode/UWGeodynamics/issues/new>. Then @rbeucher <https://github.com/rbeucher> can address them there. — You are receiving this because you were mentioned. 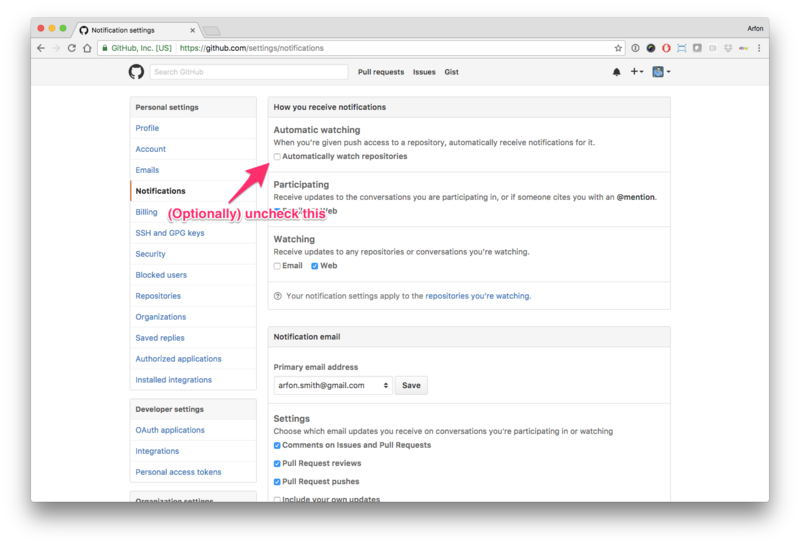 Reply to this email directly, view it on GitHub <#1136 (comment)>, or mute the thread <https://github.com/notifications/unsubscribe-auth/ALybuhHGMeMl2MouPLNH5XD2ycHVdC_nks5vFfl-gaJpZM4ZZN5y>. After many tests, I was unable to test UWGeodynamics. I worked under Mac Os x 10.12.6. Using Python3.6.5 I got this message ""PETSc was configured with one OpenMPI mpi.h version but now appears to be compiling using a different OpenMPI mpi.h version"" when running "scons.py" during underworld2 installation. Unfortunately, I do not have so much time to go further other tests for a local installation. The installation process has to be improved. I understand that authors want simplify users life thanks to the use of a container because of underworld installation. It looks like underworld2 to be really sensitive to installation process (compiler, versions...?) and UWGeodynamics can only be run if underworld2 is installed. I stop my review here. I apologize to JOSS and authors but I do not have enough time to go further this review. Thanks @tth030 for taking time to work through this. I can find someone else to step in as we move forward. @rbeucher, I appreciate that some of the software installation steps might depend on how Underworld2 distributes software. One suggestion for simplifying things and demonstrating that the software can be installed would be to use binder: https://mybinder.org/ (which can take docker files) and provide an example notebook that uses UWGeodynamics (this could be in the same repository or a different one - however you prefer to organize things). The reviewer can then work through the installation steps you provide or use the example hosted on binder to complete the review. The docs on binder are here (https://mybinder.readthedocs.io/en/latest/). I am happy to answer any questions about getting up and running on binder. Thanks @lheagy. Sure I can set up Binder. Thanks for your time @tth030. I appreciate that the Underworld dependencies, mainly petsc and hdf can be hard to compile, especially if one is not used to do that sort of things. It indeed requires skills and I am sorry you could not get it to work. This is why we provide a Docker image. The Docker team provides detailed instructions on how to install docker. Now the image is indeed quite big. This is because it contains an OS and the full stack of dependencies required to run UWGeodynamics models, not just a python package. I wish you good luck in sorting out your busy schedule. I will add the link to the main repository. Hi @rbeucher, sorry for the delay, I haven't heard back from Anthony or Florian yet, so I am still on the hunt for reviewers. I will keep you posted. Hi @lheagy , thanks for letting me know. Many thanks @flohorovicic for being willing to review! 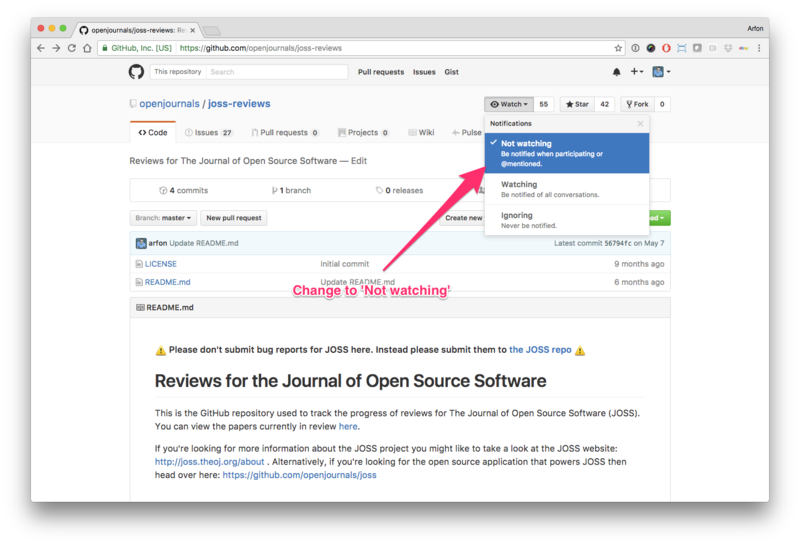 If you haven't done so already, please accept the invitation from: https://github.com/openjournals/joss-reviews/invitations. This will allow you to check off the tick-boxes in the main thread above. If there are items that you see are missing or could be improved, please either comment here or create an issue in the target repository and reference this issue by including openjournals/joss-reviews#1136 in the text of the issue. Please don't hesitate to reach out if you have any questions. Thanks! Hi @flohorovicic 👋 — When will you be able to work on this review? Give us a status update, when you can. Thanks! Dear @labarba, finally on top of my pile and I will be done in the next couple of days (at latest by the end of the week)! Kind regards from Aachen, Florian. The provided software and description provides a really low entry point for the use of numerical simulations for typical applications in geodynamics. Especially the interface to Python makes using this software with all its underlying potential now very easy and I can see a wide potential for the use in teaching as well as research. One aspect that is a bit puzzling is the separation from the underworld2 project (https://github.com/underworldcode/underworld2). When going through the examples and looking online, I commonly ended up on information referring to underworld2 - especially as it also has a Python interface and some (also very interesting) example notebooks. I ended up running several of these notebooks before realising it is a different repository... It is not directly obvious why they are two different projects. Suggestion: extend information on the UWGeodynamics readme file, clarify difference to underworld2 and include also installation information directly there (and a link to the notebooks on binder). The suggested installation over Docker worked without any problems. Small suggestion: add some notes on how to stop a container (and even delete an image, as it can take a lot of space - or at least mention the required space). People not using Docker on a regular basis would benefit from it (even if this information is, of course, available with a simple search - it would lower the entry level of using Docker). This is really an excellent possibility to get started directly with the software without a local installation and most examples worked (apart from the Tutorials). Please also include information on the main readme page (apart from the launch binder link at the top - for people who are not familiar with binder and this possibility...). The online documentation on https://uwgeodynamics.readthedocs.io/en/latest/ is really helpful! Is it possible to also include a link to this documentation directly in the paper? The tutorials and examples provide a very good starting point to run the software. The provided example notebooks contain simulations of typical applications one would want to model with the software. The description in these notebooks is short, but sufficient to understand the context of the examples (typically also with references to related work). I did not find community guidelines and possibilities for contribution. However, questions on the Issue tracker are addressed very quickly, so support is obvious (but again, some more information on the readme page would help). Version: Does the release version given match the GitHub release (v1.0.0)? Most of my comments refer to simply more information in the readme file. Great project (or projects - with underworld2) overall, looking forward to using it more in the future in my class! Many thanks for your review @flohorovicic!! @rbeucher, please take a look at @flohorovicic's comments above and let us know when you have addressed them. To help keep track of things, I would recommend that you open up an issue per item and link them here. Please let me know if you have any questions. Thank you very much for taking the time to review our project. Your comments and suggestions were very useful. I have open a series of issues on the repository where I quickly list the changes made. They essentially affect the documentation in the README and on READTHEDOCS. The first point was about clarifying the difference between Underworld and UWGeodynamics. I have added a link to the documentation in the JOSS paper. The version is currently 2.7.5. We changed the version number system to match the version of the latest Underworld API supported. I have added a paragraph in the README and ReadTheDocs. I have not made significant changes since v1.0 beside fixing bugs etc. @lheagy I am happy to draft a new released once the review process is finished. Thanks again for your review and support! @rbeucher: can you please generate a new release and archive your software on zenodo or similar? Please make sure that the title and author list on the zenodo archive match the JOSS paper. Once you have done this, please post the version number and doi here and we can proceed with accepting your paper. OK. 2.7.7 is the version. OK. 10.5281/zenodo.2636105 is the archive. @rbeucher : could you merge this in, with capitalization nitpicks? If the paper PDF and Crossref deposit XML look good in openjournals/joss-papers#617, then you can now move forward with accepting the submission by compiling again with the flag deposit=true e.g. Congratulations @rbeucher, your JOSS paper is published! Thanks @lheagy, @flohorovicic, @tth030, @labarba !! Congrats, @rbeucher! And it also was quite an interesting experience as a reviewer - thanks for such a great journal idea and concept, @labarba , @lheagy!